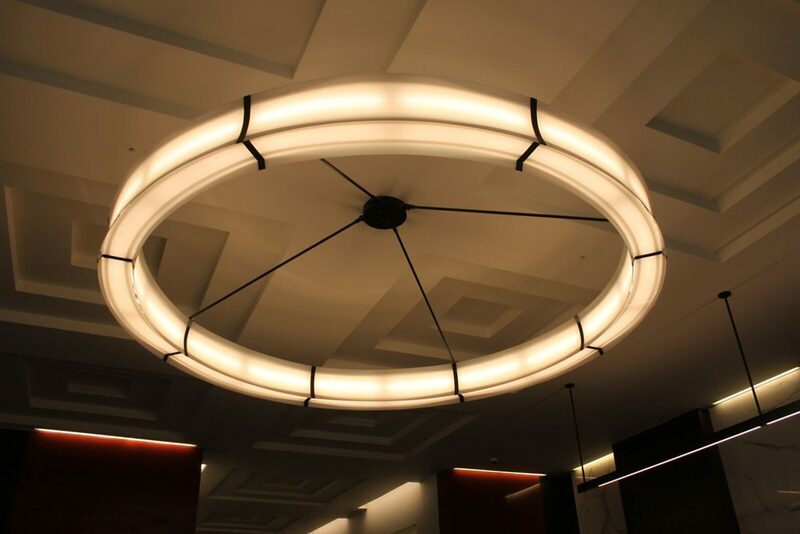 A very large ring pendant designed, manufactured and installed for the new reception area of offices in St James’s Square. 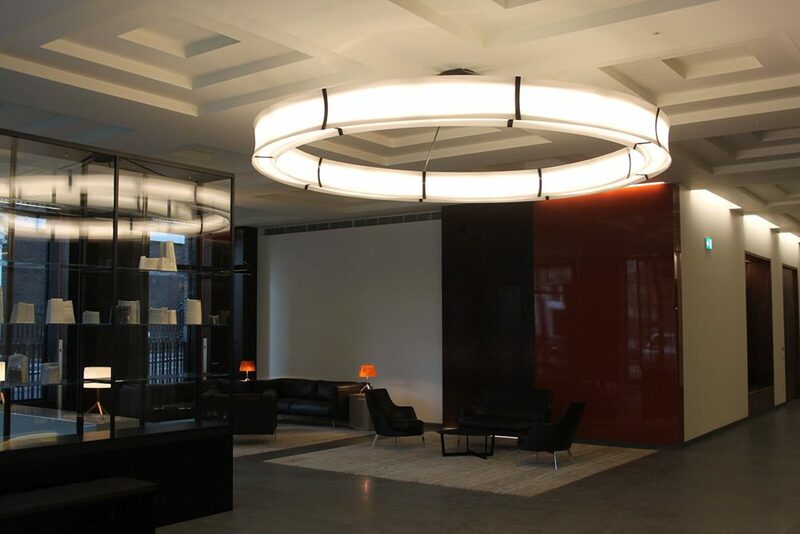 The pendant is 3 metres in diameter with profiled curved panels. The Dali dimmable pendant is illuminated with high powered LEDs and incorporates a full emergency lighting facility.